Have you ever considered learning Korean, but been put off by the unusual look of the characters? Don't let yourself be scared away Korean has been called "the most logical language there is," and with this friendly and thorough introduction you will soon see why. 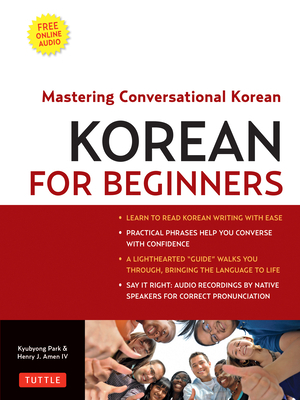 The CD-ROM's native Korean speakers help you to speak Korean like a pro. As the more than 1 million Americans who speak Korean can attest, the Korean language is here to stay, and generations of young (and older) adults are determined to learn it. This book is for people who want a grasp of how to speak, write and understand Korean--and who want to enjoy things while they're at it. Henry J. Amen, IV, is a freelance editor and writer of language learning materials; he learned Korean by being plunged into the busy streets of Seoul on a business trip. Kyubyong Park works at a Korean publishing company that creates practice books for Koreans learning English.